1958 thru 1984 Rear Tailgate (outer) Channel is located just below rear doors and fits between Quarter panels, joining bed on inside of tub. Channel is formed just like factory and includes slotted indention to mount lower door striker and header holes for 1979 to 1984. 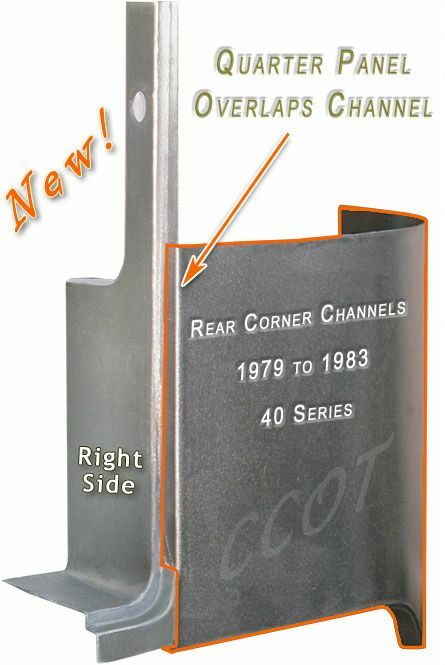 Channels are made with Heavy Duty 14 Gage "Cold Roll Steel"
Channel Skin Finished in the "Raw" Click for Description. Click for Zero Rust, The Ultimate, Convenient Panel Protection. Click, POR-15 not only stops rust, but will Prevent it from Returning. Rear Sill cap fits 1/'79 to 1984 FJ/BJ40 Series. Original Cap has been discontinued by Toyota. This is a high quality aftermarket cap that snaps into place. This cap is slightly smaller than the original plug but does the job. 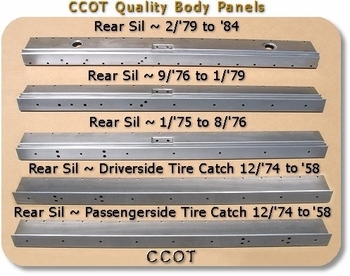 Select Sill by production date or by type of spare tire carries. See location for "Tire Catch" bolt holes on Sill. FJ40 ~ Complete Rear Channel Assembly with captive nuts that will allow drainage of water which caused original header to rust out. 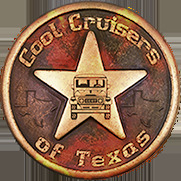 Built with all original body lines. HEAVY DUTY & COMPLETE ASSEMBLY, both outer and inner structural channel (Outer Sil / Skin is included with this part). Built Original / Strong ~ a very high quality part! Installs between quarter panels and joins bed on inside of tub. Other: Rear Sil Complete Assembly '58 to '74 SILC-5874 (Pictured, Below) On this part, please specify location of spare tire carrier. A MUST for Tight Door Fit.